Into the Streets Introduction to Service This quest badge certifies that the recipient has participated in the "Into the Streets" Day of Service. 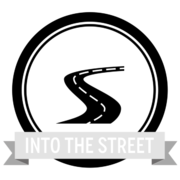 "Into the Streets" is a program for first-year students at St. Norbert College, which introduces students to various community agencies and programs in Brown County. Students serve for approximately two hours in the community and participate in a small group reflection on their service experience.